Here’s something we all have in common: To perform our best and feel good, we need to fuel with carbohydrates for our workouts. All of us have different dietary needs and preferences but rest assured, there’s a carb for everyone! Our instructor team works mighty hard up on that bike and pays extra close attention to properly fueling before and after rides. There’s wide variety in what we like/need to eat, but we all follow the same basic principles for success… because they work. 3. Timing is critical so plan ahead! Get a combination of the two in your body 1-3 hours pre- workout and within 20 minutes post-workout. And remember, target a 3:1 ratio of carb:protein. Our instructors are sharing favorite pre- and post-workout food combinations for fueling our bodies and hopefully will inspire some new ideas for you! We’re here to crush beats and energize, right? So fueling (and enough sleep!) is a big part of my exercise routine. My carb intake is mainly centered around my workouts and my morning and mid-day meals. My body doesn’t feel good eating a lot of carbs in the evening. Pre workout I typically have coffee, half a banana with a teaspoon PB or almond butter, a Lara bar (evening classes about an hour before), or a hardboiled egg. For post-workout, timing is important, especially on those double days. I need to eat within 30-45 min after workout to fight off the crash. My go-to’s are scrambled eggs, bacon and whole wheat toast. Also granola, fruit and Greek yogurt (Cabot vanilla bean is my fav!). Don’t forget to hydrate. Following this fueling plan keeps me energized! Full disclosure: I’m not always a great “fitness” eater. Eating before and after a workout isn’t what my stomach or appetite always want. But I’ve learned (especially when I was pregnant) how important it is, so I do my very best. The trick for me was to find things that are relatively easy to digest…and things that appeal to my sweet tooth don’t hurt either 🙂 A banana or Kashi Go Lean cereal are two of my pre-workout go-to’s. And my 5:30am riders know that I am rarely without coffee early in the morning! Post-workout, the best and most painless way for me to refuel is to drink my protein and carbs…a smoothie with almond milk, chocolate, banana, and peanut butter is a great treat. And you’ve heard it before, but CHOCOLATE MILK is a savior! Then once I’m home, an hour or two later, I’m ready for the solids….usually it’s multi-grain toast with peanut butter or an omelet with avocado, green veggies, and cheese. No eating or workout plans stick unless you find things you like, so the key is finding what works for you! Hey riders! I’m excited to share with you some of my favorite go-to meals while I’m on the go! First I’ll mention I’m celiac and allergic to many things: gluten, dairy, and corn. While many people often respond to my allergy list with, “then what do you eat!? spinach?”, I love the challenge and have found many delicious meals and substitutes that are “Cassie Approved”. 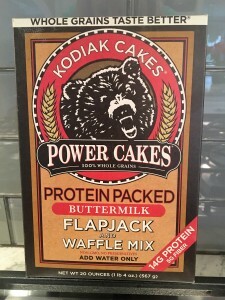 My all-time favorite to-go meal is protein pancakes (banana, oats, protein powder, and eggs). They’re so easy to make and I cook a bunch in advance and grab some to take with me while on the go. If time permits, nothing beats a good egg, bacon, and sweet potato home fries breakfast or a yogurt with granola, honey, and some fruit after a good sweaty ride. I ALWAYS keep snacks with me in the car in case I forget to bring my post workout meal with me or I don’t have time to go home. My favorite on-the-go snacks include: Cliff, Lara, and Kind bars, cut up carrots and celery, apples, almonds, and turkey/beef jerky. General rule of thumb, make sure you replenish your muscles you just exhausted after a workout, and most importantly EAT ENOUGH throughout the day and drink PLENTY of water (1/2 body weight in oz. AT LEAST!… YES that’s a lot of water but your body seriously needs it!). Now go and enjoy those carbs! Hey Riders, if you fuel your body with the RIGHT foods – your energy will be through the roof as you climb, sprint and crush those beats in class! While currently studying to be a nutrition coach, I’ve learned that every BODY is different and unique and what you put in it is a direct connection to how you FEEL. And don’t you want to FEEL like the rock star you are?? Before I teach, I will either slice up an apple with some almond or cashew butter or make a smoothie. I’m loving the combination of bananas, blueberries, almond milk, plain Greek yogurt and ice thrown together in a blender. I also love plain Greek yogurt with chopped nuts (handful), a drizzle of honey and cinnamon. 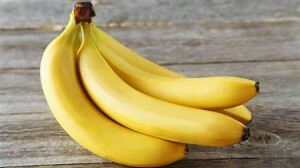 One more great fueling option before a ride is Ezekiel toast with almond butter, sliced bananas & cinnamon. If you are a salty person instead of sweet, spread avocado & diced tomatoes on the toast with some bacon. YUM! 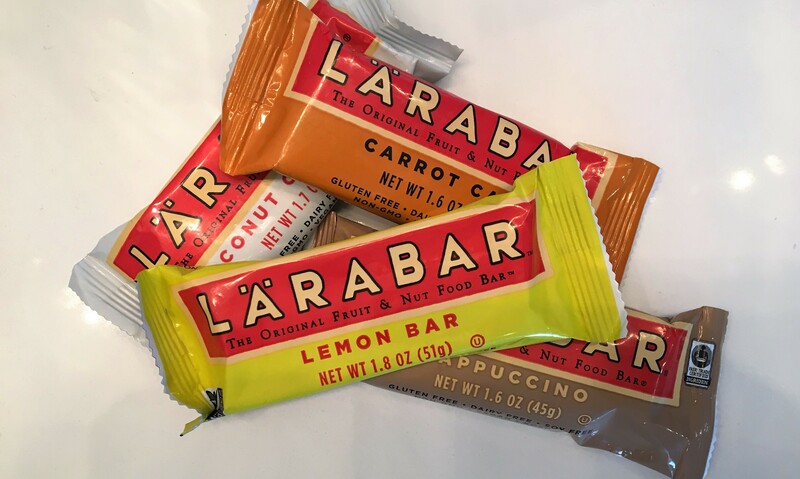 After my class, I’ll have a Larabar (Lemon is my fav!) and a small iced coffee with almond milk. Within 60-90 minutes, I’m enjoying my favorite post-workout meal: diced sweet potatoes, chicken sausage, peppers, onion all chopped and sautéed in coconut oil. DELICIOUS! I also like mini egg frittatas (muffin size which can be made in advance for on-the-go). I have them with sliced avocado, a side of berries and turkey bacon. Fueling has turned into its own sport in my house! My kids know when I’m teaching based on what we’re having for dinner. For me the key to success is mainly the timing of when to eat. Also eating enough carbs. Before the rooster classes I have coffee and a banana or Kind bar. Before our mid-morning classes my go-to’s include eggs, avocado, French toast, fruit, or protein pancakes. Also lots of water before class. After class chocolate milk saves the day! Immediate refueling has a huge impact on how I feel the rest of the day. About 90 min after class I have a meal and try to stay true to a 3:1 carb/protein ratio and also eat foods that will really fill me up. My favorites are quiche, pasta with pesto and chicken, turkey or tuna sandwich with avocado, or a good ‘ol PB&J. Lately I’ve been in love with quinoa (cooked with chicken stock), roasted Brussel sprouts, and any protein on top. My biggest advice to riders is to eat or drink a carb-protein combo right after class. I know you’re not immediately hungry but mind over matter on this one– just do it to gain energy and avoid that low energy/ famished feeling later. I love that my experiences as an instructor at Cycle Town have helped me to see eating in a new light. I think so much more deliberately about how to provide energy to my body before a ride and about how to replenish my body after a ride. Before a ride, I drink lots of water and eat either a Kind bar – – the almond coconut one is addictive – – or a Lara bar. I even make Lara bars at home with Medjool dates, nuts, dried fruit, and coconut oil. After a rooster ride, I have either plain Greek yogurt with cereal or granola, peanut butter and honey on Ezekiel bread, or a bacon and cheese breakfast sandwich on an English muffin. After my weekend double or my evening class, sometimes I go right for a chocolate milk. Then I like to eat chicken with rice and veggies or quesadillas with salsa and avocado. While carbohydrates are often viewed the enemy of many Type 1 diabetics, if you are an athlete (and all of you who ride at Cycle Town fall into this group!) you must consume some sort of carb to fuel your fitness. I find that I can keep my blood sugar in check by choosing an energy source closest to its birthplace: dirt, plant, tree or chicken. Bananas and peanut butter (not of the Skippy-ilk but the kind whose ingredients are solely “peanuts”) are a fab pre-workout meal. And coffee. (sometimes expresso –watch out!). Post-ride I always, always, always run for eggs, veggies and cheese…scrambled in a wheat tortilla, layered in a quiche, or eaten straight from the fry pan with a spatula. Yup; done that. If you view your body as the well-crafted machine it is, and what you pour down it has the intention of keeping it running at optimal level, there are only smart choices.